Something that I love to do is research some of the most famous and well-known artists to find out what really made them and their body of work so notable. Because honestly, by looking at some of their work alone, sometimes I just don’t get the big deal – and I studied art in school. Sorry, Art Historians. However, as I mature and my understanding of the art world deepens I have grown to approach this in a more open-minded way. This Friday marks the birth of one of the most famous and provocative surrealist artists, Salvador Dali. No one has sparked my interest in this artist more than my best friend and aspiring writer, Naomi. It’s because of her that I actually am able to enjoy and understand Dali’s work now. So I’ve asked her to share her enthusiasm for this artist and his work as we go into what she lovingly calls “Dali Week”. She’ll be a special guest blogger this week on Purple Paintbrush, tying her posts to Dali each day leading up to his birthday this Friday. 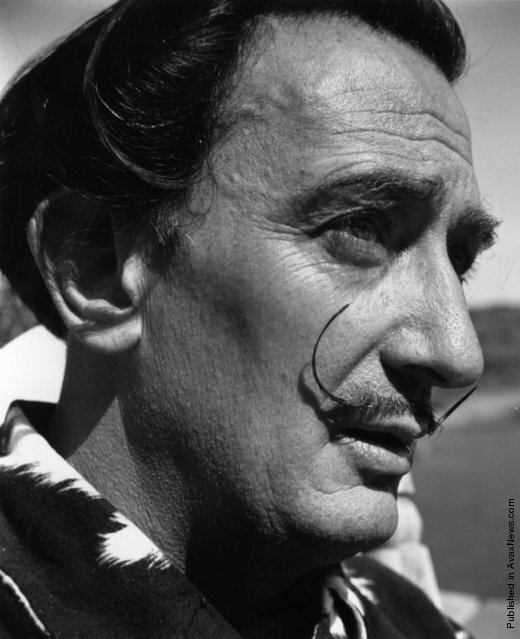 So join us this week in celebrating Salvador Dali, by sharing your thoughts on Twitter using the tag #DaliWeek! We are @PurplPaintbrush and @SoftWatches. Can’t wait to hear from you! This entry was posted in Featured Artists, Twitter and tagged #Blog2012, #DaliWeek, Salvador Dali, surrealist art by Traci Turner. Bookmark the permalink.